The Blackwell is a winter-ready men’s wax jacket inspired by Barbour International’s motorcycle heritage. It’s cut for a contemporary slim fit and built to battle the elements with a hardy Sylkoil waxed cotton outer and a baffle-quilted lining – which also showcases a distinctive branded tyre print. 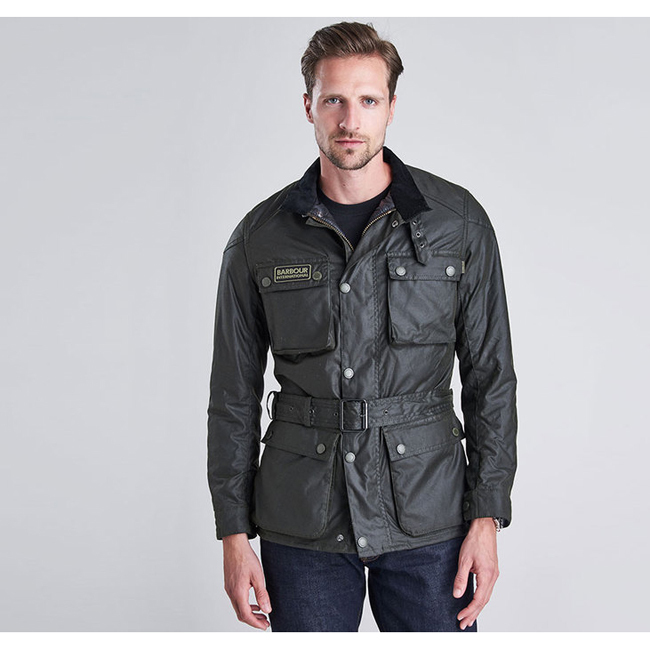 Four outer pockets feature the square shape and stud-close flaps first seen on the archive Barbour International motorcycle suit, while the waist belt, brass hardware and buckle-close funnel collar also nod to the signature biker look. The iconic black and yellow Barbour International badge decorates the wearer’s right chest pocket. Very comfortable jacket! Bought it to wear during my shifts as a nurse and it's a warm, collared jacket that is perfect for that. Very happy.